The Blue Jays may be up there with the least popular MLB teams around today, but that won’t stop this vintage script hat from being one of the most sought after pieces on the market today. For a little history on Sports Specialties and the script hat, read our blog post from last week. 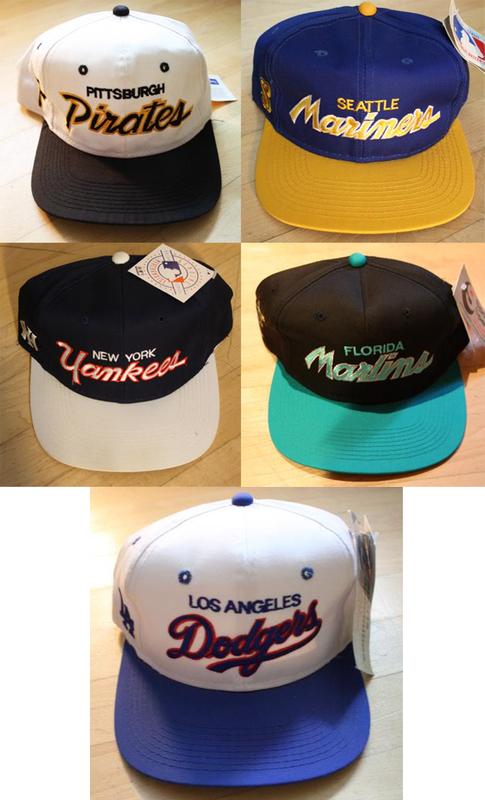 Sports Specialties MLB script hats are the hardest hats to find. Many may never even have been made. Has anyone seen Sports Specialties script hats for the Atlanta Braves, Arizona Diamondbacks, Texas Rangers or Baltimore Orioles? ‘Till we got this hat in, we’d never even heard of a Blue Jays script before. This one was bought from a souvenir shop in Toronto in ’93 by a visiting European tourist. You can’t really tell from the pictures, but the front panel is a slight shade of creme, in contrast to the rest of the crown which is a pearly white. It isn’t discoloration – the hat was actually made like that. 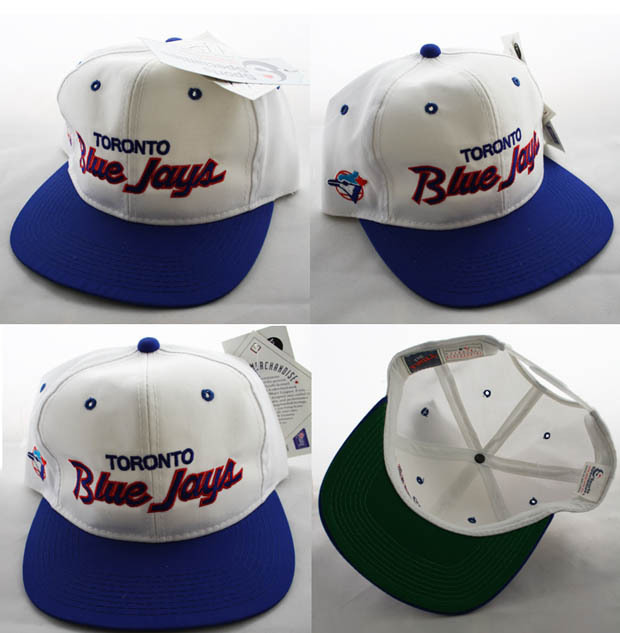 This entry was posted in blue jays script snapback, rare vintage, script, sports specialties, uk snapbacks, vintage snapbacks, wholesale snapbacks on September 7, 2011 by agora.